This thread is to dedicate a spotlight for all the beautiful, innovative spearguns manufactured by small, independent, often family run and often almost unknown companies (companies, not hobby DIY own craft) who have the GUTS to challenge "the industry" with new ideas. This thread is open to any contribution (with no advertising intents: just for the sake of knowledge) so to make the unknown be known. I start with two small companies, almost unknown if not locally, from my homeland Tuscany, in central Italy: Vtube and Huntechnology. Here's the Vtube Pro speargun: Carbon tapered tube (V shaped) with a conic structure, 26mm near the handle tapering down to 22mm near the muzzle. The handle is cut in alloy and SS. Looking very cool! And here's Huntechnology's gun Randall Ergo. Made in Tuscany, carbon monococque structure, very very thin (maximum section of the barrell is 25 millimeters: the gun is overall thinner than the famous Omer XXV). Notice the anatomy shaped carbon handle. And here's the roller commercially manufactured by company Alemanni Sub, still in central Italy (Carpi). This one is located close a few minutes drive from Ferrari luxury sportscars facility. The price of Alemanni spearguns is...adequate to the prestigious neighbour...:blackeye. Small companies are sometimes doomed to sudden death. I've heard it's the case of Purapnea, that seems to have gone to smithereens: the marketing disadvantage of a small start up, limited distribution, a product that was probably too innovative to be accepted by the market, led Purapnea to dosappear after a couple of seasons of glory. The upside down trigger is now adopted by another small but brilliant manufacturer, MareMania, near Milan. They started as a diveshop, and then commercially developed their own products. Can you find any more pics of the roller gun? Those upside down triggers are cool too.....definitely food for thought. I love the look of it, the price seems reasonable and I'm considering buying one. Here's a link to the company. On the first link you need to scroll down to it. bit of consulting to a small US gun builder (Ultimate Dive Products) that closed it doors after the owner passed on. Foxfish: www.alemanni-sub.it is the site (it's a b!tch to navigate, no english version and pics are hard if not impossible to download. But you will enjoy it: impressive rollerguns!!!). They have a very good looking finish, making they look like more of ceramic than wood. But....its' wood! yes of course I've heard about Arbalete Giava guns. They are made in Sardinia and have some nice features (the nice price is certainly one of them), including a lovely in built wooden reel as an option. Another woodgun company in Sardinia is Arbaleteinlegno (long odd name for anglo speakers, but it simly means "wooden spearguns"=arbalete in legno). They have a very good reputation, and their wooden reels look sweet as can be. A few shots. The first one features a nice wooden line release clip, but they make also metal automatic release if required. Tired of woodies? Here's from a greek company named Lanara. It's an established company in Greece, but rarely heard about outside of their home country (has any of you DBers ever heard about it?). I thought they could have a spot in this thread for lovers of assembled alluminum euro spearguns. And here's to follow a few American quality craft professional gunbuilders. Some of those I will post have already achieved a legend's reputation in the USA.  Anyway I bet than many of the European, Australian, African and Asian members of Deeperblue haven't had the pleasure to see their awesome creations yet. In the spirit of this thread, here they are to wacth and enjoy in their beauty. I start this tribute to American craft with Bigdaddy spearguns , from Virginia. They make many types of guns: bluewater, reef, euro, midhandle of any sizes down to 32". The offer is full of custom details available on demand. From pictures, you will be hit by the very accurate finish of Bigdaddy's guns. In one word: beautiful. I just wish I could try them all some day (maybe in my next life?). Here's another well deserved spot of international visibility to another well known American gun maker, who has gained a serious reputation in the US: Deathstick. you have given me inspiration for a new gun some day. Don, it would be my honour and privilege if, really, I'm giving inspiration to a maestro like you. Back to my homeland Italy, here's Eban Sub and its woodies. The company is relatively new to the market, but their guns (the lighter Eban Evo and the peppered-up Eban Idro) have already had their moments of celebrity and highlights here on Deeperblue. it has been brought to my attention that this whole thread is looking a bit...ehm...gay. Or better said: not masculine. You're so right. Buy them all for me and send them over, then I'll tell you how straight and strong they all shoot. On a seperate note I saw on another thread that you may be able to help with Seatec gear. I want to get a tahitan shaft for my Cressi SL 70. And now...this: MGM Sub from Italy. Looks quite a traditional euro woody, but with some particular features: a very angled V-shaped open track, and the particular metal/teflon muzzle to keep bands in line with the shaft. Two shots as example. Thanks for sharing these nice guns some of them i know before but most of them they are new to me .why they are not so popular even they look excellent? why they are not so popular even they look excellent? I think there are many reasons. Many of these companies make a high end product, made expensive by process, materials, custom details...not aimed to massive sales world wide. Some of these companies are new start ups, who haven't had the time yet to become internationally popular. Some of them arent' ready, or aren't interested, to invest on international visibility, foreign sales net, sponsor deals et cetera. However, it takes time to become worldwide successful for a small start up artisan company. Look for example at Giman Sub: it started 5 or 6 years ago as a small lab, run by father and son, in a small town of southern Italy. Slowly they built a reputation, and then made a further step with advertisment campaigns, sponsoring competitive divers et cetera.